From the perspective of Maharishi’s Vedic Science and Technology, individual peace is the unit of world peace: a peaceful world is possible only if it consists of individuals with peaceful minds and peaceful physiologies. Extensive scientific research provides strong evidence that Maharishi’s Transcendental Meditation and TM-Sidhi program is effective in eliminating stress, anxiety and frustration, and in promoting growth toward a state of total peace and fulfillment in higher states of consciousness. Moreover, group practice of the Transcendental Meditation and TM-Sidhi program has been shown to increase coherence in collective consciousness, thereby reducing tension and conflict nationally and internationally. The mechanics of this effect are explained in terms of individuals and groups of individuals identifying their awareness with the cosmic psyche—the unified field of natural law underlying individual and collective life, thereby enlivening the values of both unity and diversity in the collective consciousness of each nation. As a result, each nation’s cultural integrity is enhanced along with cooperation and peace among nations. Since first introducing the Transcendental Meditation program in 1958, Maharishi Mahesh Yogi (1986c) has always emphasized that individual peace is the basic unit of world peace. He uses the analogy that just as there cannot be a green forest without green trees, there cannot be a peaceful world without peaceful individuals. Even though there are many sincere individuals dedicated to the cause of peace, establishing peace requires more than simply adopting a psychological belief in peace. It can only be achieved through a transformation at the very deepest level of the human mind and through a corresponding change in the physiology. Maharishi explains that when the mind and body are deeply at peace, then thought, speech, and action will spontaneously radiate an influence of harmony into the environment. Positive change in individuals practicing Maharishi’s Transcendental Meditation and TM-Sidhi program is held to be the basis of positive changes observed when individuals practice these technologies in a group (please refer to Orme-Johnson’s first article, in this issue). Therefore, if reduced stress and more peaceful functioning [related to practice of these technologies] is being repeatedly observed, the same changes should be evident in individual consciousness as well. All of the over 500 research studies reporting the effects of Maharishi’s Transcendental Meditation technique are, in fact, research on the process of developing peace, whether on the individual or the collective level (please refer to Orme-Johnson & Farrow, 1977; Chalmers, Clements, Schenkluhn, & Weinless, 1989a, 1989b, 1991; Wallace, Orme-Johnson, & Dillbeck, in press). The extent of this research has allowed large scale statistical meta-analyses to be conducted, and this paper reviews these studies in terms of the effects of the Transcendental Meditation technique on promoting peace in the individual (cf. Alexander, in press). A meta-analysis was published in American Psychologist comparing all studies on the physiological effects of the Transcendental Meditation technique and simply sitting with eyes closed (Dillbeck & Orme-Johnson, 1987). Compared to simply sitting with eyes closed, subjects practicing Transcendental Meditation showed significantly greater physiological relaxation on three indicators: increased basal skin resistance, decreased respiration rate, and a decrease in the stress-related hormone plasma lactate. Moreover, the effect sizes associated with the Transcendental Meditation technique on these variables compared to baseline periods were relatively large: .826, ?.461, and ?.617, respectively (measured in standard deviation units), indicating strong effects that are generally consistent across studies (please refer to Figure 1). This provides evidence that Maharishi’s Transcendental Meditation technique produces a state of deep physiological rest or peace that cannot be produced by simply relaxing with eyes closed. Although one can attempt to cope with stress through a variety of means, rest is generally recognized as the most natural way of relieving tension and stress. The Transcendental Meditation technique acts directly on the nervous system to create a deep state of physiological settledness. During the deepest moments of meditation, respiration rate is reduced dramatically. There is virtually no breath, no movement—only a state of complete stillness and peace (e.g., Farrow & Hebert, 1982). Repeated experience of this state eventually produces a physiological “trait” of peace throughout the day. The same meta-analysis also found that those practicing the Transcendental Meditation technique had significantly lower baseline levels of spontaneous skin resistance responses, respiration rate, heart rate, and plasma lactate prior to meditation than did comparison subjects prior to rest. Other studies indicate that a biochemistry of peace appears to be produced during TM practice that is opposite to the biochemistry of anger, as shown by decreased plasma cortisol and enhanced serotonin turnover during and after the practice (Jevning, Wilson, & Davidson, 1978; Bujatti & Riederer, 1976; Walton, in review). The deep state of rest to mind and body during Transcendental Meditation also results in psychological trait changes indicative of enhanced peace. A recent meta-analysis, based on 146 independent outcomes, showed that the effect of the Transcendental Meditation technique on trait anxiety, or chronic stress, is significantly greater than the average effect produced by other forms of meditation and relaxation (Eppley, Abrams, & Shear, 1989). All meditation and relaxation techniques for which trait anxiety had been empirically studied were compared. Except for concentration techniques, which produced virtually no effect on reducing anxiety, the other techniques (including the placebos) had similar modest effect sizes, while the Transcendental Meditation technique produced a large statistical effect that was significantly greater than the other techniques. Similarly, subjects practicing Transcendental Meditation have shown reduced hostility and anger compared to untreated and treated controls (Abrams & Siegel, 1978; Alexander, 1982). Eppley et al. (1989) investigated the effects on anxiety of such possible confounding variables as type of population, age, gender, experimental design, duration and hours of treatment, pretest anxiety, demand characteristics, experimenter attitude, type of publication, and attrition (please refer to Figure 2). Statistically controlling for these variables via regression analysis did not alter the overall conclusions. It was also found that the longer subjects practiced the Transcendental Meditation technique, the greater the reduction in anxiety compared to controls, even though there was almost no continuing contact with trainers. Thus this sustained influence is unlikely to be due to expectation effects that are known to decrease over time. When only published random assignment studies with low attrition rates were included, the effect size for the Transcendental Meditation technique increased, whereas the effect size of other techniques actually decreased. Random assignment studies by authors with neutral or negative attitudes towards the Transcendental Meditation technique showed an even larger effect size for this technique. Thus larger effects associated with Transcendental Meditation cannot be attributed simply to “pro-TM allegiance” on the part of researchers. Maharishi’s Transcendental Meditation technique not only produces a state of rest, it produces a distinctive state of restful alertness, considered by researchers to be a fourth major state of consciousness (Maharishi Mahesh Yogi, 1972, Lesson 19; Wallace, 1986). Maharishi’s Vedic Science describes seven states of consciousness, of which the first three are waking, dreaming, and sleeping. (Maharishi Mahesh Yogi, 1972, Lesson 23; Alexander & Boyer, 1989) The fourth state of consciousness, transcendental consciousness, transcends the cycle of waking, dreaming, and sleeping and is a state in which the nervous system attains a profound state of rest, while the mind is completely silent yet fully awake to itself. This state has been shown to be psychophysiologically distinct from the three ordinary states on over 20 parameters (Alexander, Cranson, Boyer, & Orme-Johnson, 1987). In the ordinary waking state, the knower (or self) is experienced as localized in space and time and separated from the known by active processes of knowing (e.g., thought and perception). During the Transcendental Meditation technique, awareness settles down, thought becomes quieter and quieter, until thought itself is transcended, and the knower is left fully awake within himself. All thought, perception, and feeling are transcended. Knower, known, and process of knowing converge in one undivided, silent wholeness of awareness—transcendental consciousness. No longer bound by thought, perception, or feelings, the awareness is simply awake to itself alone, to its own unified, unbounded existence. Maharishi (1967) states that this experience of an underlying transcendental, unbounded identity is also referred to as the Self (with a large “S”) to distinguish it from the experience of the ordinary limited, individual self (with a small “s”). Experience of the Self is the experience of the simple state of Being. Rather than a state of “I am this or that” or “I come from this background or that background,” it is simply a state of “I am,” or “amness” or “Being.” This direct experience of the Self alone is termed by Maharishi (1986a) as self-referral. Maharishi (1986a) explains that self-referral experience, or experiencing the state of Being, is the foundation of individual life and collective life. When we lose self-referral, we lose the knowledge and experience of who we are, either individually or collectively. All we typically know about ourselves is our thoughts and feelings, and those thoughts and feelings stand between the knower and himself. We never directly experience who we are until we transcend duality (“the division of subject and object”) and experience unity. One principle of Maharishi’s Vedic Science and Technology is that what we put our attention on grows stronger in our lives ( Maharishi Mahesh Yogi, 1967). If we always put our attention outward on the field of duality, on our thoughts and feelings and the objects around us, and never inward, on the field of unity—transcendental consciousness—we will never experience unity nor become capable of sharing the experience of unity with others. In the field of duality there are differences, and differences which are not supported by a unified basis are a cause for conflicts. There is a declaration in the Vedic literature: “All fear is born of duality” (Brihadaranyaka Upanishad, 1.42). As an elaboration on “fear” we could add arguments, disagreements, conflicts, and wars. The only way you can ultimately get around duality is to transcend it and experience the unity of transcendental consciousness. This is the hallmark of the fourth major state of consciousness—complete silence, complete alertness, nonduality, wholeness, inner peace. There is strong research evidence for this unique state of restful alertness experienced during the Transcendental Meditation technique. Ordinarily the brain produces incoherent or disorderly brain wave activity. However, during the Transcendental Meditation technique, as the mind settles down to experience quieter levels of awareness, the different areas of the brain become coherent, as indicated by extensive electroencephalographic (EEG) research. This is shown by the brain waves becoming synchronous (correlated) across frequency band and cortical location. Brain wave coherence has been shown to be maximized during the subjective experience of transcendental consciousness during the TM technique (Farrow & Hebert, 1982). A more coherent brain appears to affect behavior in many potent ways. Increased EEG coherence is highly correlated with heightened creativity, improved concept learning, IQ, moral reasoning, grade point average, and neural reflexes; and decreased neuroticism (Dillbeck, Orme-Johnson, & Wallace, 1981; Haynes, Hebert, Reber, & Orme-Johnson, 1977; Orme-Johnson & Haynes, 1981). There is growing recognition that we use only a small proportion of the brain’s potential. The human brain is our greatest resource, but how can we expect to solve the world’s problems if we are only using a small proportion of our mental capacity? Maharishi (1976) explains that suffering should not be considered natural to life; it is a result of not using our full potential. When all the areas of the brain are functioning in a coherent and coordinated manner, then more of our mental potential is realized. If we learn to enliven the highly coherent state of restful alertness, the fourth major state of consciousness, and neutralize the tension and stress that blocks the efficient functioning of the mind, we can start utilizing the untapped potential of the human brain. Maharishi (1986b) explains that peace can only be permanent on the basis of unshakeable satisfaction, which in turn depends upon continuous progress in life (p. 6). Only when we are experiencing continuous growth and evolution in our daily life do we feel happy and fulfilled. Our ability to progress is based upon how much of the brain we are utilizing. Therefore development of full mental potential through repeated experience of transcendental consciousness is critical to sustaining the progress necessary for achieving lasting peace. Maharishi’s Vedic Psychology explains that waking, dreaming, and sleeping as typically experienced are highly restricted, constantly changing states that overshadow the underlying nonchanging state of Being. In the absence of contact with the silent self-referral state of Being deep within the mind, the individual is like a rudderless ship being cast about in a sea of continuous change. Thus, when these constantly changing relative states dominate awareness, inner peace cannot be maintained. Through repeated experience of transcendental consciousness during the Transcendental Meditation technique, the self-referral state of Being gradually becomes permanently maintained along with the previous three states. This gives rise to a fifth state of consciousness which Maharishi (1967) has termed cosmic consciousness because it is all inclusive—it simultaneously includes transcendental consciousness along with waking, dreaming, and sleeping (cf. Alexander & Boyer, 1989). By definition, cosmic consciousness is held to be a state in which there is no stress remaining in the nervous system. In this state, the nervous system is said to become so flexible and adaptive in the face of challenges, that no further stress can be incurred. In cosmic consciousness one continues to be active on the surface, changing level of life, while maintaining a completely peaceful or restful state deep within the mind. Thus, in this state, for the first time, a permanent state of peace is achieved. In Maharishi’s (1972) description of higher states of consciousness, the sixth state of consciousness, God consciousness, is defined by the unbounded, self-referral awareness of cosmic consciousness coexisting with the development of refined sensory perception during the three relative states of waking, dreaming, and sleeping. Perception and feeling reach their most sublime level, the finer and more glorious levels of creation are appreciated, and every impulse of thought and action is enriching to life (pp. 23-6?23-7). The sixth state is referred to as God consciousness, because the individual is capable of perceiving and appreciating the full range and mechanics of creation and experiences waves of love and devotion for the creation and its creator. Thus, in this state one not only experiences inner peace, but profoundly loving and peaceful relationships are cultivated with all others. In the seventh and highest state of consciousness, which Maharishi (1972) calls unity consciousness, one experiences Being as the basis of and permeating all aspects of life: everything is perceived as nothing but expressions of Being. Even though the diversity of life is still appreciated, what dominates in unity consciousness is the experience that all aspects of life, from the most refined to the most manifest levels, are nothing but the self-interacting dynamics of Being, pure consciousness, the substance of our own transcendental consciousness. For this reason, one is capable of appreciating all objects of perception in terms of the Self (pp. 23-8?23-9). The Vedic literature describes this experience: “I am That (pure transcendental consciousness), thou art That, all this is That” (Brihadaranyaka Upanishad, 1.4.10). Recall that the Upanishads also declared that all fear is born of duality. Although a state of inner nonduality, or inner unity of the Self, is permanently achieved in cosmic consciousness in this first stable state of enlightenment, the inner Self stood separate from the outer, constantly changing, highly diversified world. Hence the outer world is still experienced as fragmented and completely different from the Self. Only in unity consciousness is the gap between inner and outer reality, between subjective and objective existence fully bridged. As proclaimed in the Bhagavad Gita, in the highest state of enlightenment, one “sees the Self in all beings, and all beings in the Self” (Maharishi Mahesh Yogi, 1967, p. 441). Thus all creation becomes as dear to one as the Self, and one experiences in the most profound sense, “The world is my family” (Maha Upanishad, 6.71). In this state, not only is fear unthinkable, one becomes maximally nourishing, harmonizing, and enriching toward all of creation. Possibly the closest concept in modern psychology to the development of higher states of consciousness or enlightenment is that of self-actualization (Maslow, 1968). According to Maslow, self-actualized people utilize their full or unique potential as individuals. He believed that inner mental resources are largely untapped, and that self-actualized people draw on these resources considerably more than ordinary people. The fundamental qualities of self-actualizers are said to include: high self esteem; self-sufficiency or autonomy; creativity; inner vision; acceptance of self, others, and nature; and capacity for warm interpersonal relationships. Maslow held, and research confirmed, that only a very small proportion of society—possibly less than 1%—achieves self-actualization (e.g., Cook-Greuter, 1990). Among self-actualizers, Maslow (1964) identified a smaller subset who sometimes had what he called spontaneous peak experiences, experiences which individuals characterized as moments of transcendental elation or inner joy. Even one such peak experience, he believed, could profoundly promote self-actualization and reverse negative trends in individual life (p. 75). Maslow (1976) held that those very rare individuals who had peak experiences with some frequency developed an inner “serenity” or peace that set them apart from the rest of humanity, including the merely healthy “self-actualizers” (p. 271). From the perspective of Maharishi’s Vedic Psychology, the most profound or fundamental peak experience would be complete transcendence of time, space, and multiplicity in the unbounded wholeness of transcendental consciousness. Whereas peak experiences, as defined by Maslow, occur only rarely and spontaneously in a few individuals, the Transcendental Meditation technique appears to be a means for systematically promoting complete transcendence in anyone (regardless of their developmental starting point) and gradually stabilizing a permanent state of enlightenment (please refer to Alexander, 1982). If TM does facilitate systematic transcendence, then according to Maslow, it should dramatically enhance self-actualization and an accompanying sense of inner security and peace. In fact, a recent meta-analysis has confirmed that this is the case. This meta-analysis of 42 studies showed that the effects of Maharishi’s Transcendental Meditation technique on self-actualization was markedly greater than that of other forms of meditation and relaxation (please refer to Figure 3). We also factor analyzed results for the Personal Orientation Inventory (the most widely used measure of self-actualization) and found three principal components: feeling development, integrative perspective on self and world, and resilient sense of self. We found that the Transcendental Meditation technique also had a much greater impact than other forms of meditation and relaxation on these specific factors of inner development (Alexander, Rainforth, and Gelderloos, 1991). Interestingly the largest effect of all was on the feeling development factor, which included a subscale measuring capacity for warm interpersonal relationships. This suggests that development of inner peace and fulfillment through the TM technique provides the natural basis for more peaceful and harmonious relationships with others as well. The reported effects on self-actualization took place in three months, which is an unusually short period of time in which to see substantial change towards actualizing the self. Elsewhere (Alexander et al., 1990; Alexander, Rainforth, & Gelderloos, 1991), we have explained how growth of the highest levels of individual development (self-actualization according to Maslow; or autonomy and ego-integration according to Loevinger) are only transitional to development of the universal or transcendental Self in higher states of consciousness. Some contemporary psychologists have viewed the possibility of developing a universal, unbounded Self with some trepidation, for fear that going beyond or transcending individuality would somehow result in the loss of one’s personality. However, this is simply a misunderstanding. Maharishi (1963) has emphasized that the transcendental basis of the individual is not in conflict with his or her individuality. In fact, unless a person has grounding in the transcendental origin of his or her own individuality, he or she cannot have a fully developed individuality. There is a profound reciprocal relationship between individual and collective consciousness. Maharishi (1976) has pointed out that individual consciousness is the unit of all levels of collective consciousness: community, city, state, nation, and world. If individuals are tense, angry, and frustrated, then stress builds up in the collective consciousness. The stress in collective consciousness then negatively influences other individuals, causing them to become more tense, angry, and frustrated, thereby creating still more stress in individual and collective life. In contrast, Maharishi (1976) explains that the positivity enlivened in individuals through their practice of the Transcendental Meditation technique, and to an even greater degree through collective practice of the TM-Sidhi program, is likewise expressed in collective consciousness, which in turn influences individuals in a profoundly positive way. 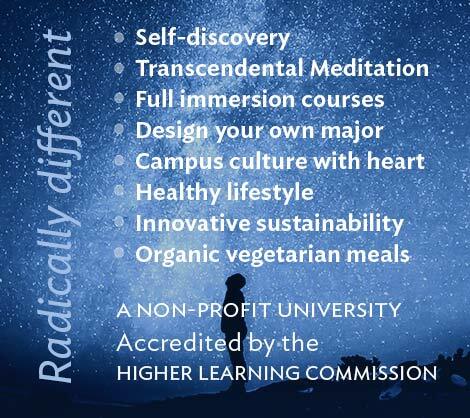 Thus, whatever effects the Transcendental Meditation technique produces for individual life, we might anticipate that these same effects should become reflected on a collective level through group practice of the advanced TM-Sidhi program. The above research on self-actualization and ego development showed that the Transcendental Meditation technique profoundly increases psychological autonomy or self-sufficiency. Autonomous people have been shown to have a distinctive awareness of and confidence in their own inner identity, integrity, and moral vision. They are highly stable and self reliant, and not easily overshadowed by stress from their environment (Loevinger, 1976). On the other hand, autonomous individuals are also said to be capable of great intimacy with others. This is because they know who they are and are not threatened by being different from others. How might growth of autonomy on the individual level through practice of the Transcendental Meditation technique find corresponding expression on the collective level through group practice of the TM-Sidhi program? One might expect to find that when a sufficient number of individuals in society become more autonomous or self-sufficient, then society as a whole would become more self-sufficient and display greater cultural integrity. Development of inherent natural resources, appreciation of cultural traditions unique to the nation, and capacity to respect the traditions of other nations as well, should enable such an integrated culture to contribute naturally to cooperative relations with the whole family of nations. This is exactly what Maharishi (1976) predicts in his Absolute Theory of Cultural Integrity (p. 142). He proposes that when coherence is increased in collective consciousness, the nation will become economically more prosperous and selfreliant, and also more stable, integrated, and resilient in the face of potential sources of threat, either from within or external to the country. In fact, numerous studies show that when sufficiently large groups practice the TM-Sidhi program, there is growth of prosperity on a national level (Cavanaugh, 1987; Cavanaugh & King, 1988; please refer to Cavanaugh’s article in this issue); and reduced conflict and accelerated progress toward peace in countries subject to civil or regional unrest (Orme-Johnson, Alexander, Davies, Chandler, & Larimore, 1988; Davies & Alexander, 1989; please refer to Davies’s article in this issue). Maharishi (1967) uses an analogy to illustrate this point: all you need to do to take care of the whole tree is to water the root. In this analogy, the root of the tree for our individual self is transcendental consciousness, which can be described as the universal Self, the cosmic psyche, or Being. Watering the root is bringing our individuality to the level of universality, accomplished most easily through the practice of Maharishi’s Transcendental Meditation technique. Ordinarily, our attention is not on this level but is restricted to the more superficial, cyclical states of waking, dreaming, and sleeping, and therefore the root of the tree (our individuality) is not being watered. Unless our attention goes to that deeper, transcendental level, we will remain object-referral and stranded in the field of duality. When we become established in Being, we have truly come into ourselves, and our individuality is better expressed. Just as all aspects of the tree are nourished and enlivened by the watering of the root, all aspects of the individual become stronger by directly contacting the source of our individuality. 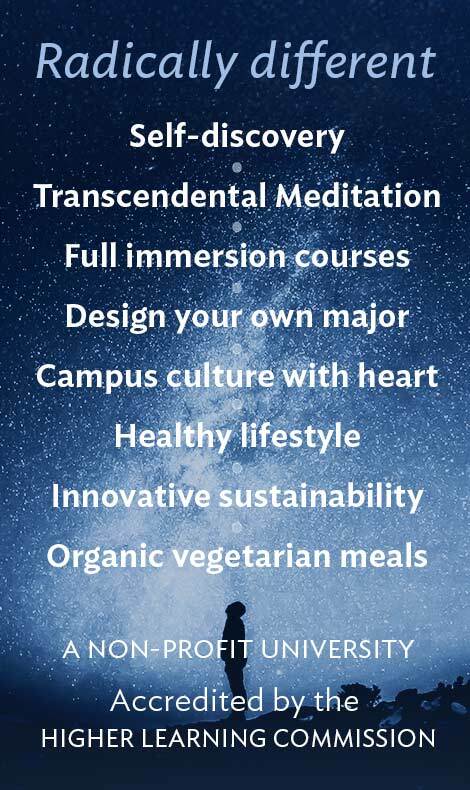 This is evidenced not only in growth of self-actualization through practice of Transcendental Meditation, but by the over 500 studies documenting the effects of this technique on all aspects of daily life on the individual and collective levels. Just as “watering the root” of individual life through transcendence actualizes the individual self as well as the universal Self, “watering the root” of society through creating coherence in collective consciousness nurtures the integrity of each culture while promoting unity among nations. To extend our previous analogy, in a garden where the gardener is not watering the roots, everything looks similarly withered and pale. However, if the garden is watered, as the plants become individually nourished, they begin to bloom in their differences. This is what makes a garden enjoyable—the experience of a unified collection of diverse colors, shapes, and sizes. Similarly, if the roots of various cultures of the world are not nourished, the cultures increasingly lose their cultural integrity and distinctiveness. However, when the roots of culture are nourished from the transcendental level through large groups practicing Maharishi’s Transcendental Meditation and TM-Sidhi program, then every culture blossoms in its distinctiveness and integrity as the family of nations grows in unity and harmony. The great desire for freedom that is currently being expressed in cultures around the world is, in a sense, the desire to go to one’s roots. With the nourishing of collective consciousness that has already taken place due to the coherence-creating groups around the world, people in various parts of the world are spontaneously desiring to regain more and more their unique cultural identities and traditions. They want the roots of their societies to be deeply grounded in the unique laws of nature indigenous to their country or region. Maharishi (1978) distinguishes between the individual level of the laws of nature and the universal level of the laws of nature. The universal level is the unified field of natural law, which is present everywhere throughout creation, at every level of creation in an unexpressed or unmanifest state. The diversified or individual level comprises all the laws that spring from that in the process known in physics as spontaneous symmetry breaking, and are found expressed differently in different places. This can be understood not only in terms of physics, but also in sociocultural terms. In Maharishi’s explanation, differences between cultures reflect unique climactic and geographical conditions that created the original identity of that culture. Thus, cultural differences are due to the different expressions of natural law in that area. Cultural values differ because the expression of the laws of nature differs. With the rise of coherence in the collective consciousness, the universal level of natural law is enlivened, which in turn enlivens the expression of natural law in different cultures, thereby simultaneously strengthening cultural diversity amidst international unity. Scientific research indicates that Maharishi’s Transcendental Meditation and TM-Sidhi program is distinctively effective in developing a peaceful body and mind—the basis of peaceful behavior. When a sufficiently large group practices this program and enlivens the underlying source of peace, the unified field of natural law, in national consciousness, the behavior of the whole nation is seen to become spontaneously life-supporting and harmonious. Thus, having groups of individuals identify their awareness with transcendental consciousness or Being, the basis of individual and collective life, eliminates stress and promotes peace, both in their own lives and in the life of the nation. With the use of large, permanent coherence-creating groups in each country, it therefore becomes possible for the first time in history to create not only a peaceful mind and body but a truly peaceful world. Proceedings of Approaches to Creating a Stable World Peace, April 5-7, 1991. Sponsored by the Institute of World Peace, Maharishi University of Management. Abrams, A. I., & Siegel, L. M. (1978). The Transcendental Meditation program and rehabilitation at Folsom State Prison: A cross-validation study. Criminal Justice and Behavior, 5, 3?20. Alexander, C. N. (1982). Ego development, personality, and behavorial change in inmates practicing the Transcendental Meditation technique or participating in other programs: A cross-sectional and longitudinal study. (Doctoral dissertation, Harvard University). Dissertation Abstracts International, 43, 539-B. Alexander, C. N. (in press). Transcendental Meditation. In R. J. Corsini (Ed. ), Wiley’s Encyclopedia of Psychology. New York: Wiley Interscience. Alexander, C. N., & Boyer, R. W. (1989). Seven states of consciousness: Unfolding the full potential of the cosmic psyche in individual life through Maharishi’s Vedic Psychology. Modern Science and Vedic Science, 2, 325?371. Alexander, C. N, Cranson, R. W., Boyer, R. W., & Orme-Johnson, D. W. (1987). Transcendental consciousness: A fourth state of consciousness beyond sleep, dreaming, and waking. In J. Gackenbach (Ed. ), Sleep and dreams: A sourcebook (pp. 282?315). New York: Garland. Alexander, C. N., Davies, J. L., Dixon, C. A., Dillbeck, M. C., Druker, S. M., Oetzel, R. M., Muehlman, J. M., & Orme-Johnson, D. W. (1990). Growth of higher states of consciousness: Maharishi’s Vedic Psychology of human development. In C. N. Alexander and E. J. Langer (Eds.). Higher stages of human development: Perspectives on adult growth. (pp. 286?340). New York: Oxford University Press. Alexander, C. N., Rainforth, M. V., & Gelderloos, P. (1991). Transcendental Meditation, self-actualization, and psychological health: A conceptual overview and statistical meta-analysis. Journal of Social Behavior and Personality, 6, 189?247. Bujatti, M., & Riederer, P. (1976). Serotonin, noradrenaline, dopamine metabolites in Transcendental Meditation technique. Journal of Neural Transmission, 39, 257?267. Cavanaugh, K. L. (1987). Time series analysis of U.S. and Canadian inflation and unemployment: A test of a field-theoretic hypothesis. In Proceedings of the American Statistical Association, Business and Economics Statistics Section (pp. 799?804). Alexandria, VA: American Statistical Association. Cavanaugh, K. L, & King, K. D. (1988). Simultaneous transfer function analysis of Okun’s misery index: Improvements in the economic quality of life through Maharishi’s Vedic Science and Technology of consciousness. In Proceedings of the American Statistical Association, Business and Economics Statistics Section (pp. 491?496). Alexandria, VA: American Statistical Association. Chandler, H. M. (1990) Transcendental meditation and awakening wisdom: A 10-year longitudinal study of self development. Dissertation Abstracts International, 51: 5048B. Chalmers, R.A., Clements, G., Schenkluhn, H., & Weinless, M. (Eds.). (1989a). Scientific research on Maharishi’s Transcendental Meditation and TM-Sidhi programme: Collected papers (Vol. 2). Vlodrop, the Netherlands: Maharishi Vedic University Press. Chalmers, R.A., Clements, G., Schenkluhn, H., & Weinless, M. (Eds.). (1989b). Scientific research on Maharishi’s Transcendental Meditation and TM-Sidhi programme: Collected papers (Vol. 3). Vlodrop, the Netherlands: Maharishi Vedic University Press. Chalmers, R.A., Clements, G., Schenkluhn, H., & Weinless, M. (Eds.). (1991). Scientific research on Maharishi’s Transcendental Meditation and TM-Sidhi programme: Collected papers (Vol. 4). Vlodrop, the Netherlands: Maharishi Vedic University Press. Cook-Greuter, S. R. (1990). Maps for living: Ego development stages from symbiosis to conscious universal embeddedness. In M. L. Commons, C. Armons, L. Kohlberg, F. A. Richards, T. A. Grotzer, & J. D. Sinnott (Eds. ), Adult development, 2: Models and methods in the study of adolescent and adult thought. New York: Preger. Davies, J. L, & Alexander, C. N. (1989). Alleviating political violence through enhancing coherence in collective consciousness: Impact assessment analyses of the Lebanon war. Presented at the 85th Annual Meeting of the American Political Science Association. (Please refer also to Davies, J. L. (1988). Dissertation Abstracts International, 49, 2381A. Dillbeck, M. C., & Orme-Johnson, D. W. (1987). Physiological differences between Transcendental Meditation and rest. American Psychologist, 42, 879?881. Dillbeck, M. C., Orme-Johnson, D. W., & Wallace, R. K. (1981). Frontal EEG coherence, H-reflex recovery, concept learning, and the TM-Sidhi program. International Journal of Neuroscience, 15, 151?157. Eppley, K. R., Abrams, A. I., and Shear, J. (1989). Differential effects of relaxation techniques on trait anxiety: A meta-analysis. Journal of Clinical Psychology, 45, 957?974. Farrow, J. T. & Hebert, J. R. (1982). Breath suspension during the Transcendental Meditation technique. Psychosomatic Medicine, 44, 133?153. Haynes, C. T., Hebert, J. R., Reber, W., & Orme-Johnson, D. W. (1977). The psychophysiology of advanced participants in the Transcendental Meditation program: Correlations of EEG coherence, creativity, H-reflex recovery, and experience of transcendental consciousness. In D. W. Orme-Johnson and J. T. Farrow (Eds.). Scientific research on the Transcendental Meditation program: Collected papers (Vol. 1). (pp. 208?212). Rheinweiler, W. Germany: Maharishi European Research University Press. Jevning, R., Wilson A. F., & Davidson, T. M. (1978). Adrenalcorticol activity during meditation. Hormones and Behavior, 10, 54?60. Maharishi Mahesh Yogi. (1963). Science of being and art of living: Transcendental Meditation. New York: Signet. Maharishi Mahesh Yogi. (1967). On the Bhagavad-Gita: A translation and commentary, chapters 1?6. Baltimore: Penguin/Arkana. Maharishi Mahesh Yogi. (1972) The Science of Creative Intelligence: Knowledge and experience [Course syllabus]. Los Angeles: Maharishi International University Press. Maharishi Mahesh Yogi. (1976). Creating an ideal society: A global undertaking. Rheinweiler, W. Germany: Maharishi European Research University Press. Maharishi Mahesh Yogi. (1978). Enlightenment to every individual and invincibility to every nation. Rheinweiler, W. Germany: Maharishi European Research University Press. Maharishi Mahesh Yogi. (1986a). Life supported by natural law. Washington, DC: Age of Enlightenment Press. Maharishi Mahesh Yogi. (1986b). Maharishi’s Program to Create World Peace: Removing the basis of terrorism and war. Washington, DC: Age of Enlightenment Press. Maharishi Mahesh Yogi. (1986c). Thirty years around the world: Dawn of the age of enlightenment. Vlodrop, the Netherlands: Maharishi Vedic University Press. Maslow, A. H. (1964). Religions, values, and peak experiences. Columbus, OH: Ohio State University Press. Maslow, A. H. (1976). Farther reaches of human nature. New York: Viking. Orme-Johnson, D. W., Alexander, C. N., Davies, J. L., Chandler, H. M., & Larimore, W. E. (1988). International peace project in the Middle East: The effect of the Maharishi Technology of the Unified Field. Journal of Conflict Resolution, 32, 776?812. Orme-Johnson, D. W., & Farrow, J. T. (Eds.). (1977). Scientific Research on the Transcendental Meditation program. Collected Papers (Vol. 1.). Rheinweiler, W. Germany, Maharishi European Research University Press. Orme-Johnson, D. W., & Haynes, C. T. (1981). EEG phase coherence, pure consciousness, creativity, and TM-Sidhi experiences. International Journal of Neuroscience, 13, 211?217. Wallace, R. K. (1986). The neurophysiology of enlightenment. Fairfield, IA: Maharishi International University Press. Wallace, R. K., Orme-Johnson, D. W., & Dillbeck, M. C. (in press). Scientific Research on Maharishi’s Transcendental Meditation and TM-Sidhi program: Collected papers (Vol. 5). Fairfield, IA: Maharishi International University Press. Walton, K. G., Pugh, N., Gelderloos, P., Macrae, P., MacLean, C. R. K., & Brown, G. M. (in review). Optimizing adaptive mechanisms: A stress-related, neuroendocrine basis for disease-prevention through Transcendental Meditation. Submitted for publication in the Journal of Psychoendocrinology.